On Monday 20 June the Clipper Race fleet will set sail for three-time Host Port Derry-Londonderry in Northern Ireland in the 3120 nautical mile LegenDerry Finale from New York. 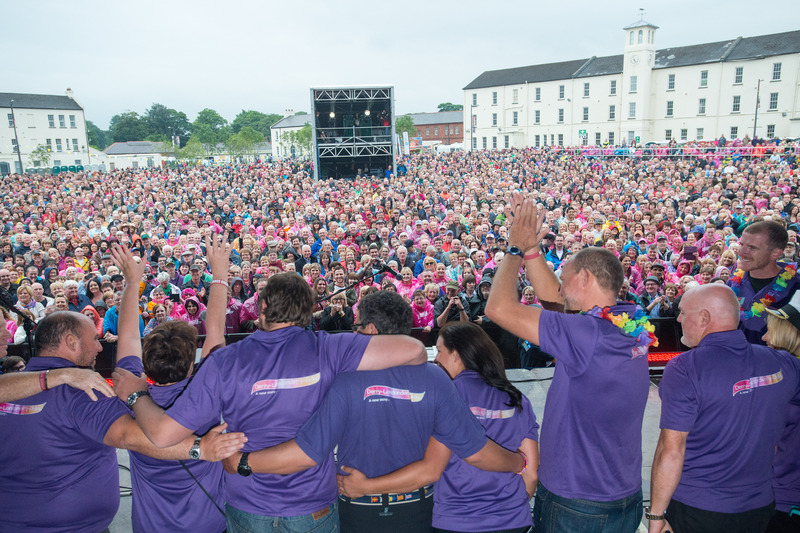 The race across the Atlantic is the final ocean crossing of this tenth race edition and the Derry-Londonderry stopover is renowned among Clipper Race crew for the warm welcome and party atmosphere, hence the LegenDerry Finale name for Race 12. Derry City and Strabane District Council has built the award-winning Foyle Maritime Festival around the fleet’s arrival with an array of activities and events planned to ensure that the very best of the city is showcased to the tens of thousands of visitors. The first boats are expected to arrive around 7 July and the festival itself will run until the departure for Den Helder, The Netherlands with a spectacular finale planned. Speaking ahead of the event, Mayor of Derry City and Strabane District, Alderman Hilary McClintock, said excitement is building in the city ahead of the stopover. “I look forward to greeting the crew after their gruelling Transatlantic journey and I know they will receive a welcome to remember here in the city. Hailing from destinations across the globe, it’s our opportunity to showcase our famous hospitality to the Clipper Race teams, so they can carry the message home that the North West of Northern Ireland is a warm and vibrant visitor destination with so much to offer. “We also send our best wishes to the Derry~Londonderry~Doire team who have been doing us so proud in the race, as they embark on one of the final legs of their global journey, before returning home to a hero’s welcome. It will be a homecoming to remember,” she added. 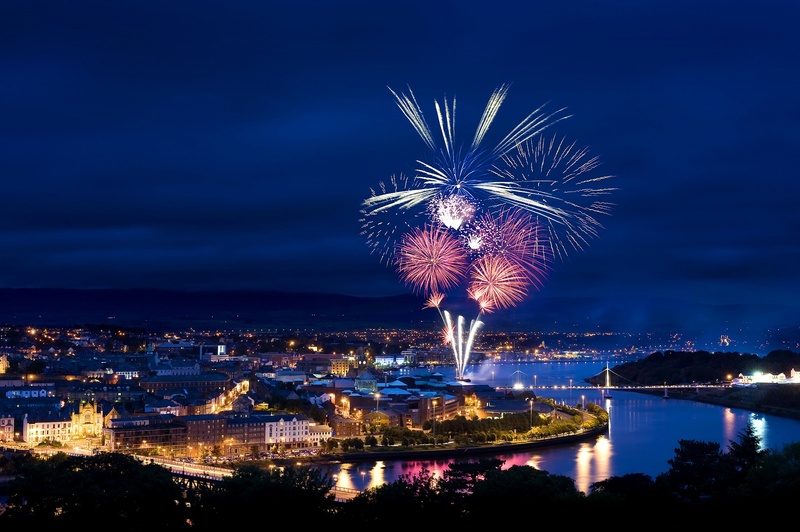 From 9 July, the River Foyle will set the scene for some adrenalin-fuelled nautical displays, including dragon boat racing, wakeboarding and water skiing, and provide a stunning backdrop to the bustling riverside markets, concerts and events. Top of the bill is Irish rock sensation The Riptide Movement who head up an impressive array of entertainment, food, animation and high octane water sports in this eclectic maritime celebration on the River Foyle. As well as The Riptide Movement music lovers will be treated to a first class line up of entertainment throughout the festival including folk sensation Lisa Hannigan, Irish Classical star Zoe Conway, gypsy folk band Balkan Alien Sound, and a whole host of exceptional talent. 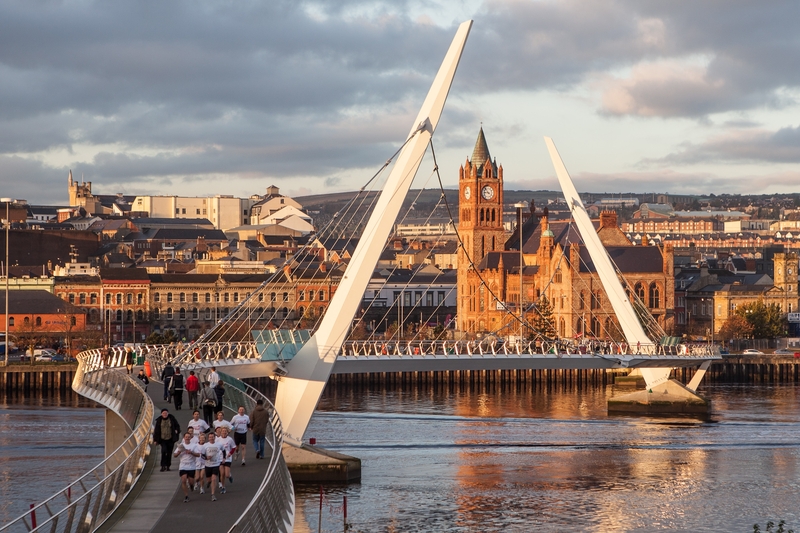 Derry will once again officially become Music City from July 9-17, with an impressive collection of artists taking to the streets including homegrown favourite Soak, rock sensations The Strypes, and stars of America's Got Talent, The Willis Clan. The festival concludes on Saturday evening July 16 before the Clipper Race fleet departure on Sunday, with a spectacular finale event – The Voyage of Sunniva. See the dramatic events unfold as this medieval Irish Queen tells her story of sea faring adventure as she flees the perils of invasion and navigates her way to safety in a stunning spectacle of the natural elements. Kila and Balkan Alien sound will provide the emotive musical narrative to this sensational light and aerial show. Finally on Sunday the quayside will be thronging as the city bids farewell to the Clipper Race fleet as it sets sail for the final leg of its journey to Den Helder in the Netherlands. The Parade of Sail will leave the city at 1400 local time for the race start in Greencastle and thousands are expected to turn out in both Derry-Londonderry and Greencastle to send the teams on their way. To find out more about the Foyle Maritime Festival and for information on booking accommodation or events, click here. More information is also available on our Derry-Londonderry port page, including a map of where the yachts will be berthed. 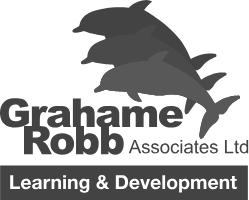 If you like the idea of racing across the Atlantic Ocean from North America to Europe in an upcoming Clipper Race then contact our recruitment team by clicking here.